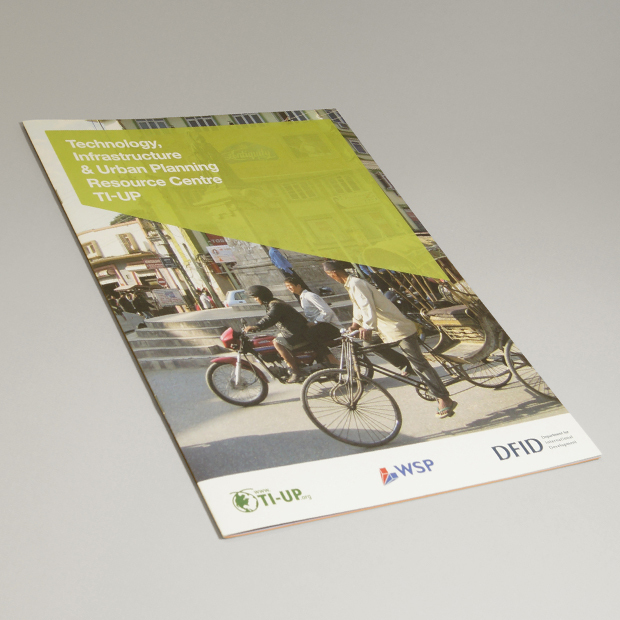 TI-UP is a key resource centre providing a one-stop shop for knowledge in the combined fields of Technology, Infrastructure and Urban Planning, serving DFID infrastructure advisors, programme managers, DFID¹s partners in developing countries, and the wider international development community. 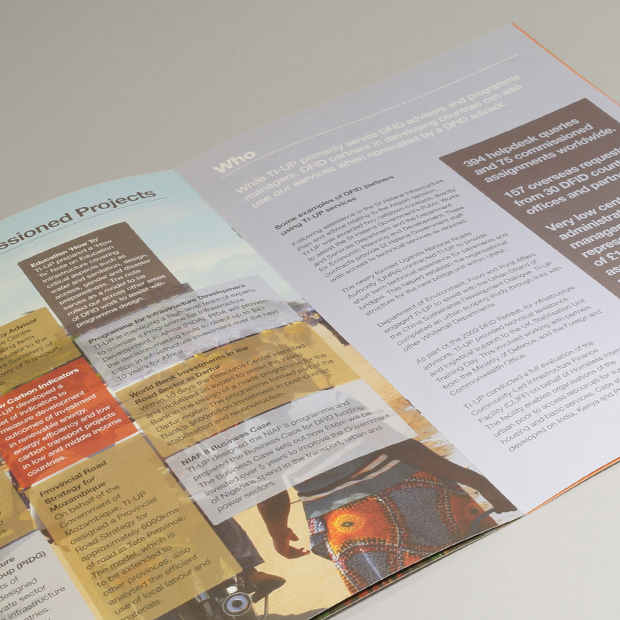 Hold were approached to design their latest marketing publication, an 8 page brochure illustrating how TI-UP operate citing example cases studies and client testimonials. 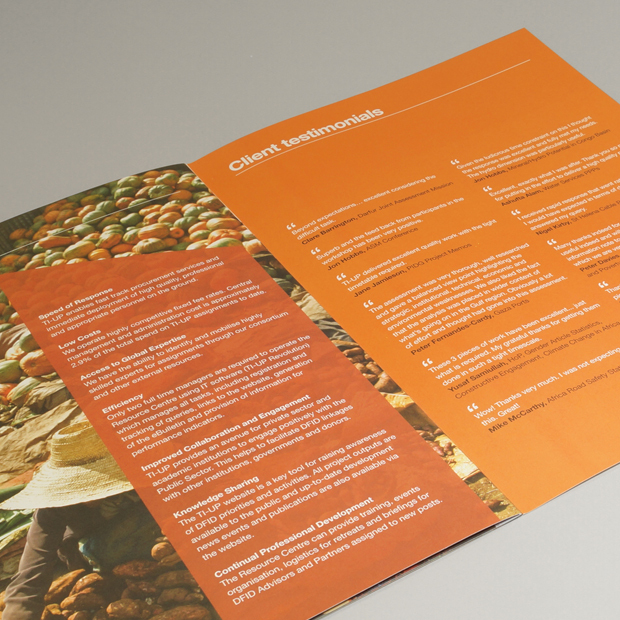 The resulting brochure was a great success. 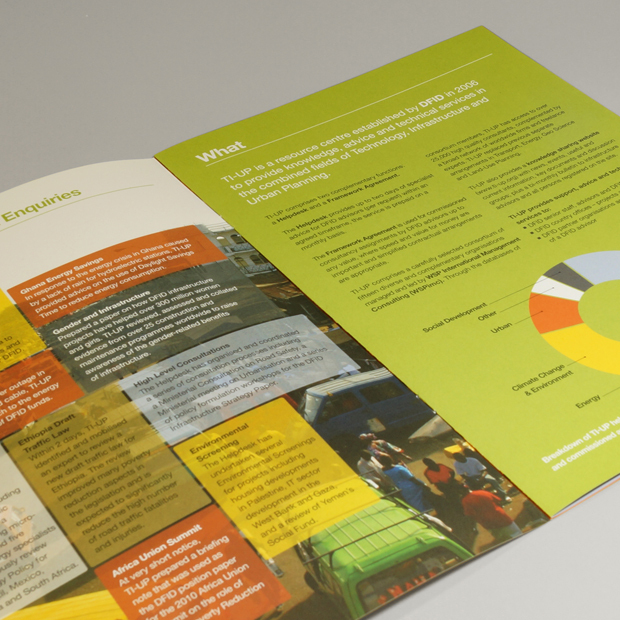 The combination of documentary photography, clean typography and engaging graphics created a communication piece that presented TI-UP as an dynamic, knowledgeable and global organisation.